ACPM Medical College ,dhule Admissions 2017-18 || MBBS Admission 2017|| Eligiblity Criteria & Courses 2017-18|| ACPM MEDICAL COLLEGE – DHULE ACPM Medical College, Dhule was Established in 1990 and is affiliated to Maharashtra University of Health Sciences, Nasik. ACPM Medical College is among one among the oldest private medical colleges Read More ………..
ACPM Medical College In 1989, the foundation started an urban health center inside the Dhule city at lane no 4 and another rural health center at Village Mundalwad in Dhadgaon Taluka (an Adivasi area). Jawahar Medical Foundation is the brain child of Late Shri Annasaheb Chudaman Patil. The registration of Read More ………..
ACPM Medical College Dhule, Maharashtra ACPM Medical College Dhule, Maharashtra. MBBS 100 Seats. PG 26 Seats. The Medical College is a private medical institution in Dhule, Maharashtra offering MBBS, MD, MS & Diploma Courses. 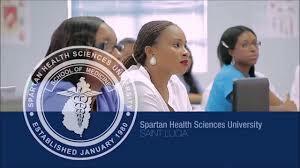 The college came into existence in the year 1990 and is managed by a trust. The Read More ………..
Fees Structure for Various courses offered at PIMS…. The annual fees payable by the candidates admitted to the constituent Colleges of Pravara Institute of Medical Sciences , will be subject to review every year. Fees for the academic year 2017-18 for Postgraduate, Undergraduate courses & Allied Sciences PG Courses are Read More ………..
​About Us – Dr. Vithalrao Vikhe Patil Foundation Address: Opp. Govt. Milk Dairy , Vadgaon Gupta , Post: M.I.D.C., Ahmednagar – 414111 Year of Establishment: 1990 Management: Trust MCI status: Recognized Affiliated University: Maharashtra University of Health Sciences, Nashik. No. Of MBBS Seats: 150 Qualifying Exam: Asso-CET, the entrance exam conducted by the Read More ………..
ACPM Medical College – Dhule ACPM Medical College, Dhule was Established in 1990 and is affiliated to Maharashtra University of Health Sciences, Nasik. ACPM Medical College is among one among the oldest private medical colleges in Maharasthra. Its stone were Founded in 1984, when Late Shri Annasaheb Chudaman Patil registered Read More ……….. Admission for PG (MD Pathology course) in Karnataka top medical college Kempegowda Institute of Medical Sciences has been started. PG medical seats for MD Pathology available at Kempegowda Institute of Medical Sciences, Karnataka under management & NRI quota. We offer your direct admission for MD Pathology in Kempegowda Institute of Medical Sciences Read More ……….. Admission for PG (MD Pathology course) in Karnataka top medical college Father Muller Medical College has been started. PG medical seats for MD Pathology available at Father Muller Medical College , Karnataka under management & NRI quota. 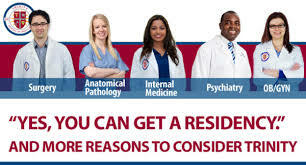 We offer your direct admission for MD Pathology in Father Muller Medical College located at Read More ………..